V for Vendetta font here refers to the font used in the poster title of V for Vendetta, which is a 2006 dystopian thriller film. 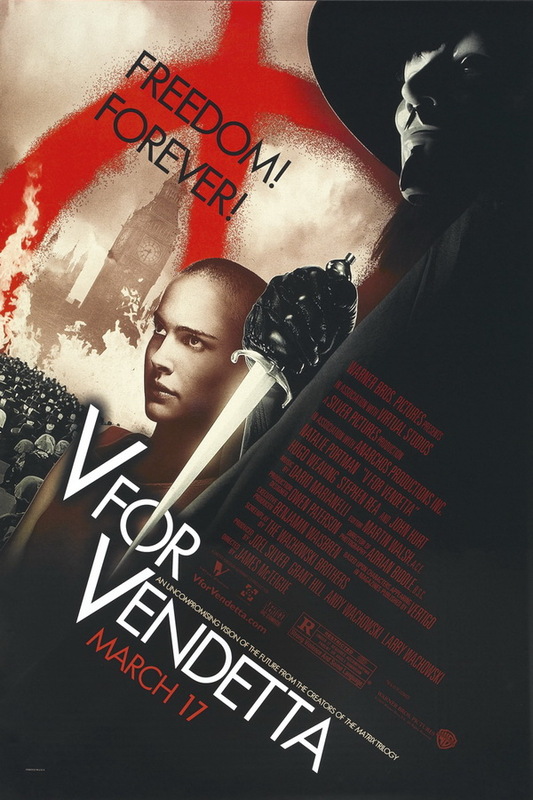 The story was adapted from the V for Vendetta comic book by Alan Moore and David Lloyd. The font used for the titling in the poster of the film is very similar to a font called Futura Book, which is a commercial font designed by Paul Renner in 1932. The font is available for purchase and download here. In addition to V for Vendetta, Futura typeface is also used in the following logos, movie posters or album covers etc., including: Native, Paradise, Big Lots, Some Nights, Chicago, Hangover, Disney Junior, Ozark (TV Series), The Five-Year Engagement, Nip Tuck, Victorisous, Modern Vampires of the City, A Little Faster, So Far Gone (Drake), Muscle of Love.